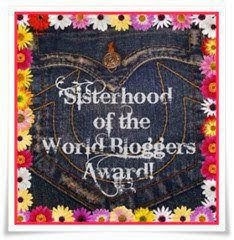 Jenn bestowed this award on my blog 3 weeks ago and I am very pleased to have it... It means a lot to me that Jenn thought of me and I have been remiss in posting about it. I was a bit under the weather at the time, resting up and trying to shake the sniffles before my eye surgery last week... now that those things are behind me and I am looking forward, I would like to take the time and properly acknowledge Jenn and thank her for her kindness. Please know I didn't mean to ignore you! 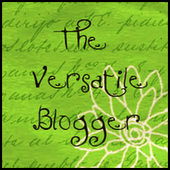 Jenns' Adventures is a lively, beautifully designed blog that encompasses so many different subjects it is impossible to pin down. If you haven't met Jenn yet, do go and visit, and please tell her I sent you. Jenn is very friendly, very funny and I know you will find her very charming and engaging. She lives in paradise, and is lively and energetic... and interested in everything under the (Hawaiian) sun! 1. Thank the person who gave you the award and link back to that post. 2. Tell seven things about myself. 3. 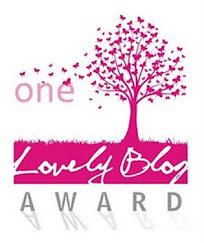 Pass the award to 15 other newly discovered blogs. 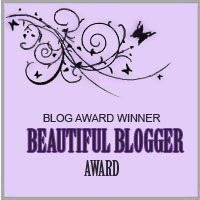 Jenn, I do thank you ... and I have been following your blog and your story since I first came across it. I enjoy our bloggy friendship enormously. 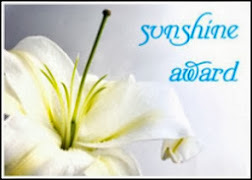 I have been having trouble coming up with seven things I may not have already mentioned, that are worthy of revealing. I am a Gemini. My birthday is May 24th and that is Victoria Day in Canada. When I was a child, I used to tell strangers my name was Vicky. I am Gemini fickle, have too many irons in the fire and love to communicate. I was a little brainiac in school. I got through grades 1, 2, and 3 in 2 years. That became a distinct disadvantage in high school when I was 16 in grade 12 and some of my clasesmates were as old as 19. Hmmm. I have an older sister and a younger brother. Both have spouses and kids I adore. My sister and her husband live in Calgary, where we grew up, while my brother and his wife have become U.S. citizens and live near Redlands, CA. I like most music except country... which is odd for a gal who grew up in the Stampede city! I do love Willie Nelson though. I was a Daddy's girl. Followed him around like a little shadow whenever and wherever I could, and wouldn't ever listen to a criticism or complaint about him from anyone. I carry his memory in my heart and he still inspires me every day. I do love to cook. And eat. And grocery shop. I am a foodie. I have a food and recipe blog called We can begin to feed... I love the little galley kitchen in our sailboat (see the tab header for description and pics) and love to have visitors gather round. I am a crafter... aside from the jewellery, I love to do cross-stitch, sewing, knitting crocheting, quilting and paper crafts. Someday I want to try that willow furniture making, too. 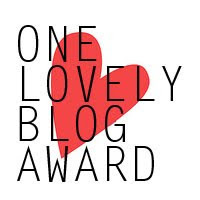 I know I am supposed to choose 15 blogs to bestow this award upon, but I am breaking that rule... it is just too hard to select one blog over another, for me, and so I invite all of my followers to consider their blogs 'chosen' and participate in the fun! Don't tell but I am commenting at work! I am suyuch a Daddy's girl too. I had a guy in college break up with me because he felt he would never be as cool in my eyes as my Dad..well duh! My Dad is the BEST! Glad you had an awesome one too! so fun learning new things! I am going to check out the foodie blog now, I am embarrassed to say, I had no idea you had one!! I was definitely (and still am) more of a daddy's girl, I am just more like him personality wise than my sisters. My mom's incessant country music in the car kind of ruined it for me. Ugh. i love to craft too! i could spend hours in hobby lobby! hope your recovery is going well!! awww! i enjoyed this so much! i am a daddy's girl as well. he is one of my best friends! thanks for allowing us to get to know a little bit more about you! I'm a huge daddy's girl as well and Allan is a momma's boy (don't tell him I said that) so we are a perfect match! I love that you are crafty! I like to think I am from time to time. I love being crafty too, but I keep it to knitting and paper crafts. It's a good way to stay creative AND be productive. Wow! Awesome! Congrats!! :) I checked out Jenn's blog (I didn't know of it before) and I love it too. I let her know you sent me!